A case of schizophrenia successfully treated by m-ECT using ‘long’ brief pulse. Inomata H et al, International Journal of Case Reports and Images 2012;3(7):30–34. 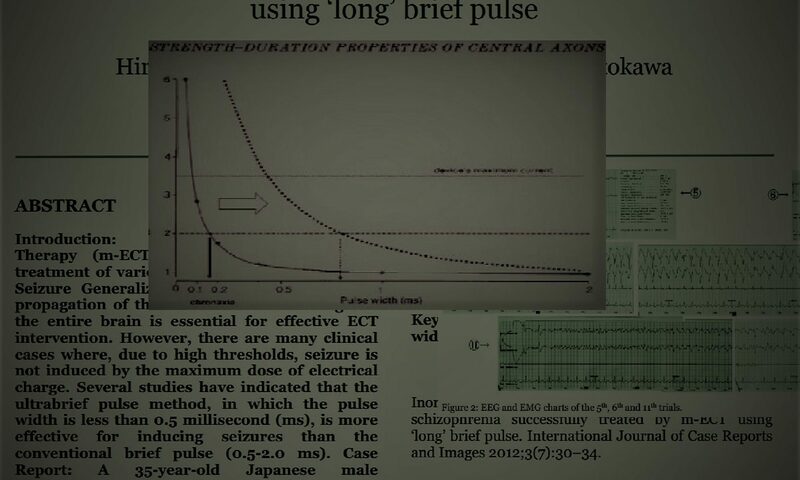 Elongation of pulse width as an augmentation strategy in electroconvulsive therapy Kawashima et al.